On a trip to the market the other day I spied some potted lavender among the fall pumpkins and mums. I have never seen potted lavender for sale before so I jumped at the chance to take home a plant. I wrapped the plastic pot in some burlap and tied it with twine. 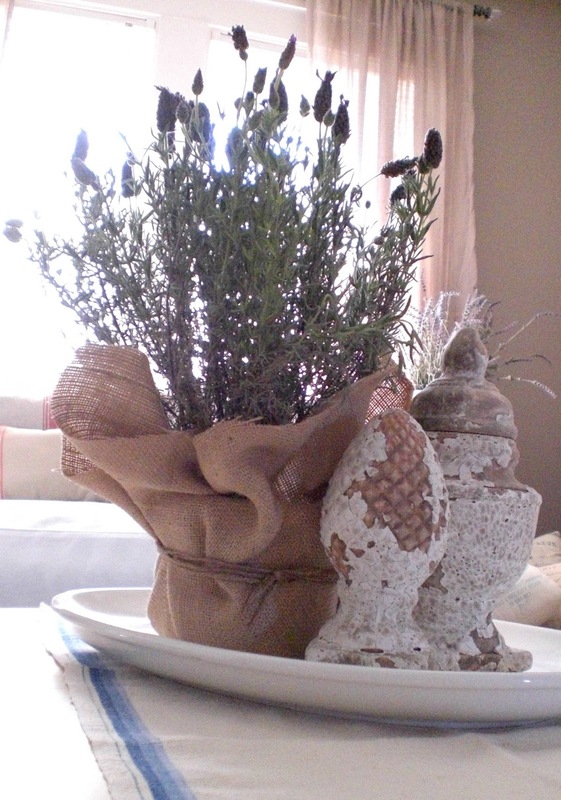 It looks right at home on our coffee table with chippy finials. 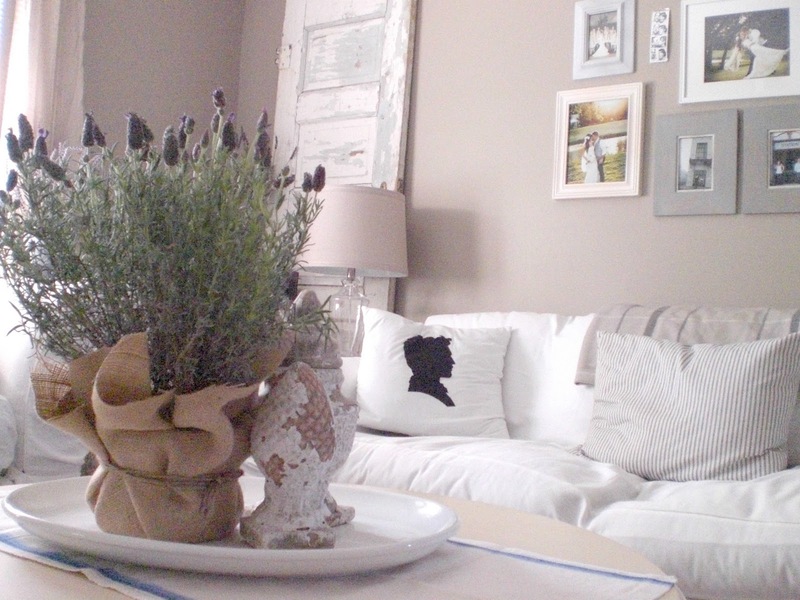 So very French farmhouse, oui? Linking to Farmhouse Fridays at Laurie Anna's. Love your burlap treatment! Looks sweet!! Looks so beautiful, so French country! Such beautiful photos and your home is just lovely!! I just found your blog and so happy I did! 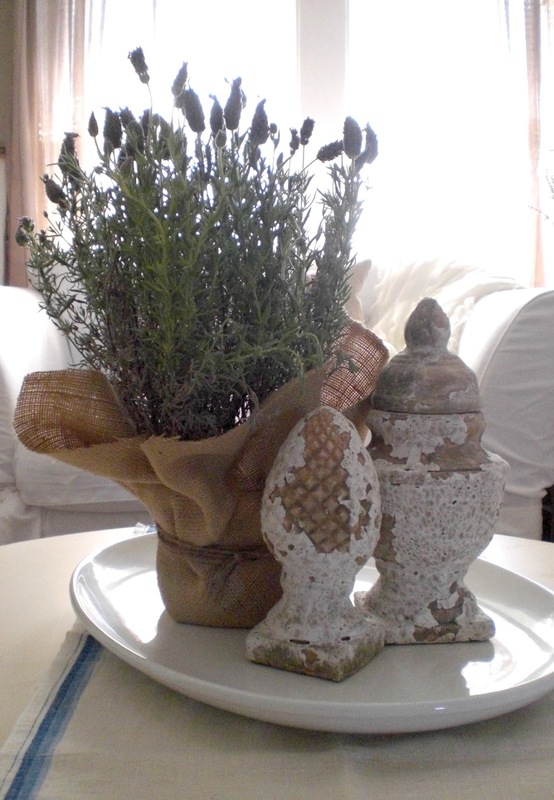 Hi, Courtney, Ironically, my husband bought a pot of lavender I wanted today. The lady at the gardening place (called Enchanted Gardens, which is a wonderful place) said you don't water it much at all... and it will last. She planted it in the ground and just left it and it went crazy! I just stumbled across your blog, btw. Love it! Hope your lavender brings you much happiness! 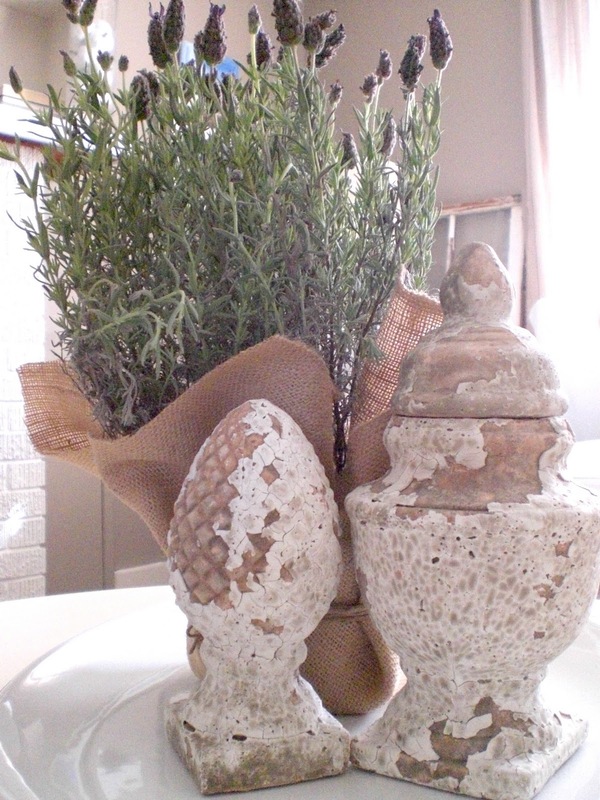 Your lavender wrapped in burlap looks beautiful on your coffee table. 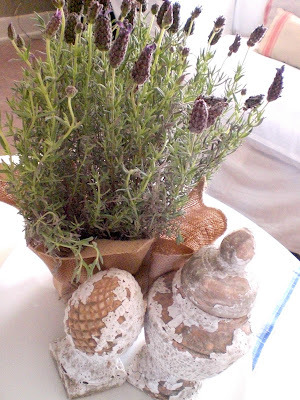 I just posted today about a big basket full of lavender that I was able to harvest. 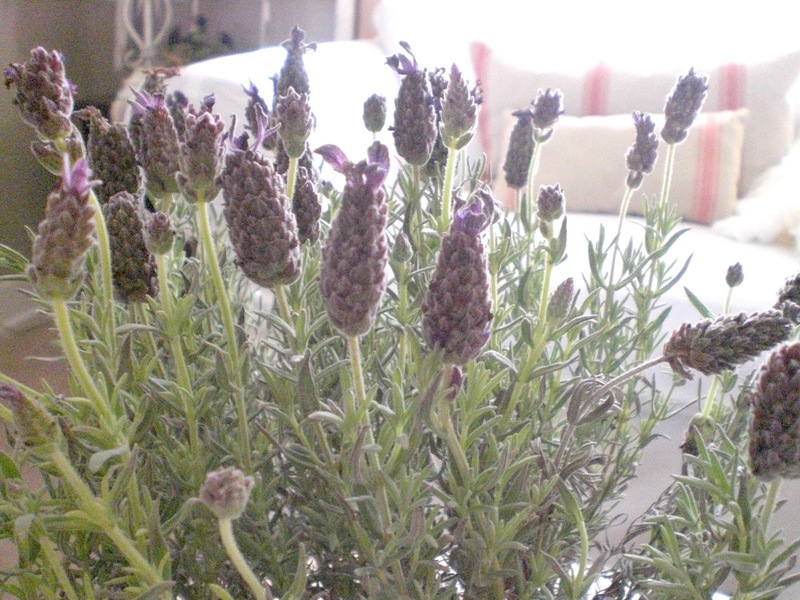 It smells so wonderful, doesnt' it?